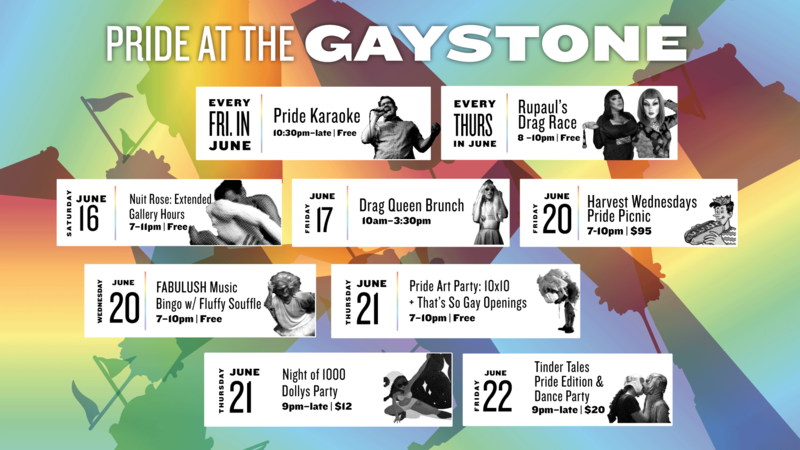 West Queen West is excited to celebrate everything proud and loud this month. After all, it’s pride month! Our favourite month of the year. There are so many awesome events happening right here in our neighbourhood. Friday, June 8th at The Beaver. Puppy Love Pride: Heckin’ Queer Launch. Doors at 10PM. Cover is $5 before midnight, $10 after. No cover for looks and drag. Tuesday, June 12th at The Beaver. 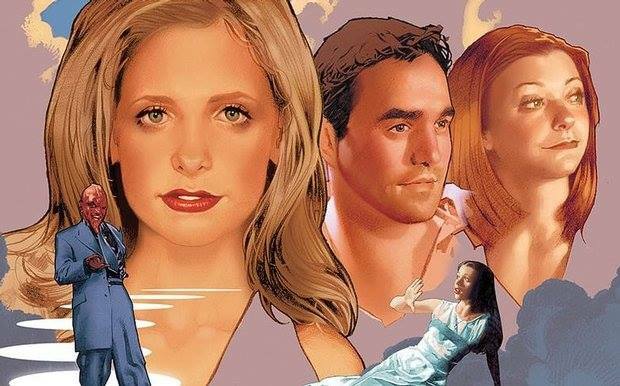 Once More with Feeling: Sing-a-long + Buffy Pub Quiz. 7PM – 10PM. $5/person (Cash Only). Maximum 5ppl/team. BYOP (Bring Your Own Pen). No reservations. Thursday, June 14th at The Beaver. Electricladyland: Pride Edition. 10 PM – 2 AM. FREE. This is a monthly queer dance party, where we only play all-female and non-binary electro artists. Wednesday, June 20th at The Gladstone Hotel. 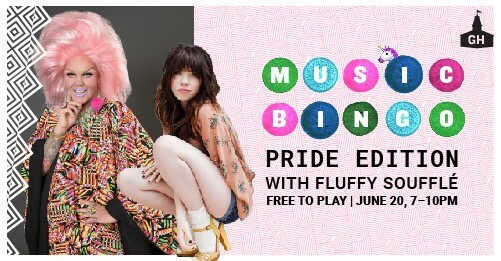 Music Bingo | Pride Edition w/ Fluffy Soufflé. 7PM – 10PM. FREE to attend and play. Wednesday, June 20th at The Gladstone Hotel. 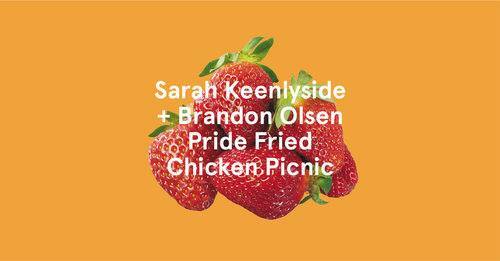 Pride Picnic with Brandon Olsen & Sarah Keenlyside. 7PM – 10 PM. $95 CAD. A fried chicken picnic. This is part of Harvest Wednesdays. Thursday, June 21st at The Gladstone Hotel. That’s So Gay (TSG) 2018: Say My Name Opening Party. This is a group show celebrating new works by LGBTTI2QQ artists curated by Syrus Marcus Ware. June 13 – August 5th, 11-5pm daily, 2018. Opening Party June 21st 7-10pm. 2nd, 3rd + 4th Floor Galleries. TSG Artist Pecha Kucha Talks July 17th, 6-9pm. 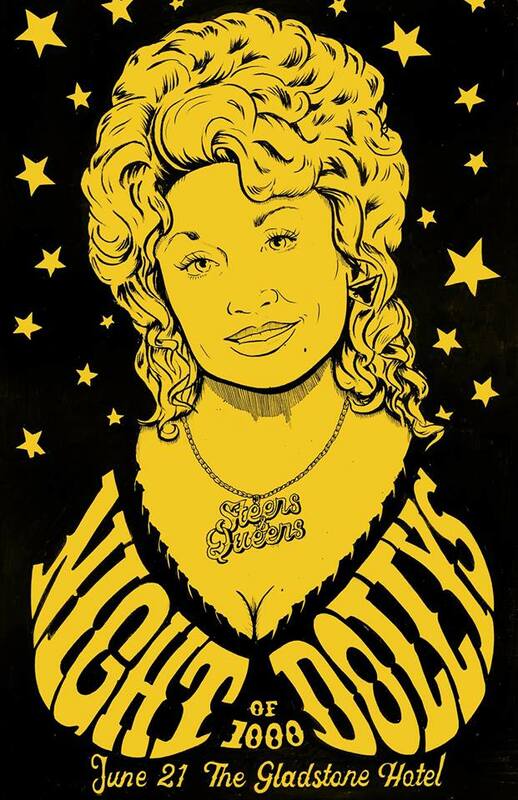 Thursday, June 21st at The Gladstone Hotel: Steers & Queers Night of 1000 Dollys. 9PM. Dolly dress code in effect. 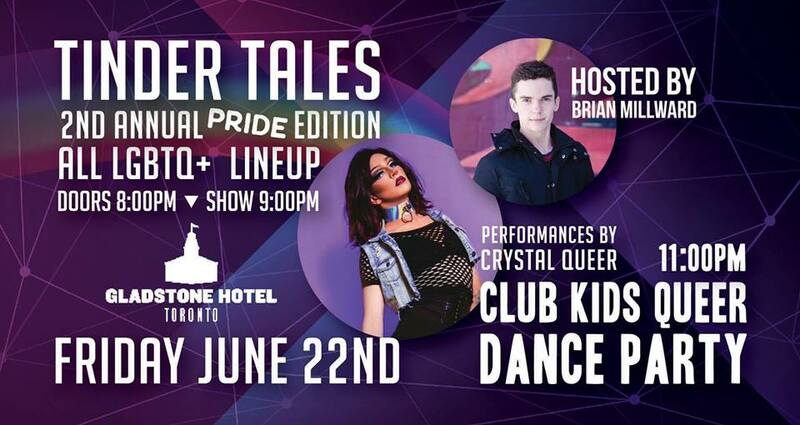 Friday, June 22nd at The Gladstone Hotel: Tinder Tales Pride Edition & Queer Dance Party. 8PM – 2AM. Tix are $15 on Eventbrite. Thursday June 21st at The Drake Hotel. 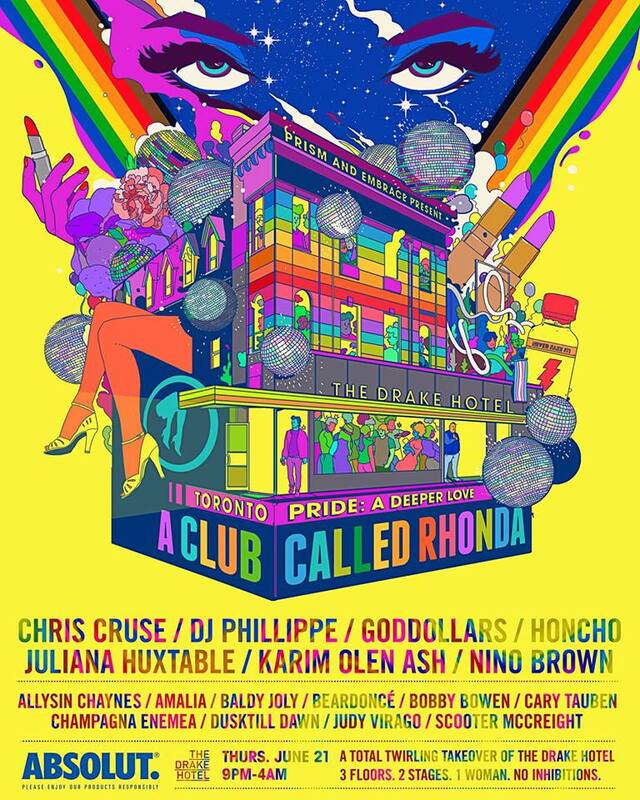 A Club Called Rhonda Toronto Pride: A Deeper Love. 9PM – 4AM. 3 Floors. 2 Stages. Tix available on Ticketweb. Saturday, June 16th in West Queen West. 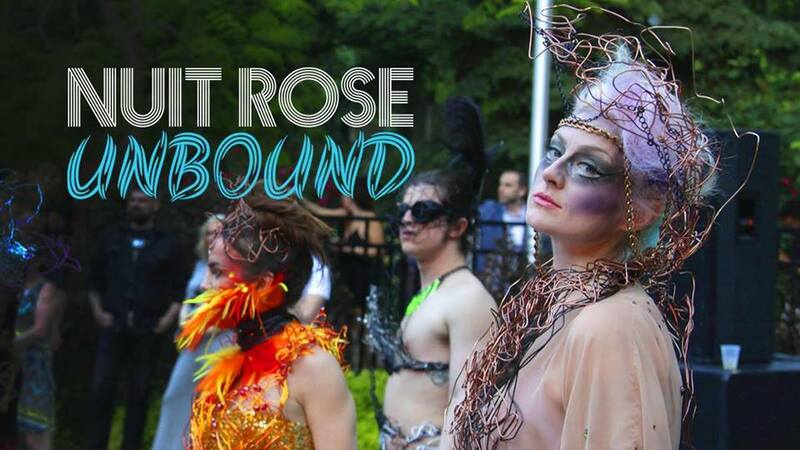 NUIT ROSE Festival and Art Crawl: Unbound. FREE. NUIT ROSE is back for its fifth annual festival of queer art and performance. Taking the theme of Unbound, the festival features art that crosses borders, both real and imagined. Join us on June 16th from 7PM till late for our annual ART CRAWL with programming across Toronto neighbourhoods West Queen West and the Church-Wellesley Village. Harlem Underground, AMA, Convenience, Agora, Milagro Cantinas, Oyster Boy, Hooky’s Fish & Chips, The County General, Lisa Marie, El Almacen, The Swan, Banu, Terroni, Rickshaw Bar, Street Shak, Noce, Entice Culinary Lounge, Butter Chicken Roti, Lamesa, The Drake Hotel, Gladstone Hotel, Fresh, Otto’s Bierhalle, Carmen, Bolt Fresh Bar, Frankie’s, The Good Son, Fonda Lola, Nuit Social, Sweet Lulu, Nana, Nunu Ethiopian Restaurant, H Bar, Squirly’s, Smoque N’ Bones, Loaded Pierogi, Juan Gonzalez Taqueria, Montgomery’s, Canis, Death & Taxes, Noce, Dandylion, The Dog & Bear, Barn Restaurant, Church Aperitivo Bar, Ali Baba’s, North Of Brooklyn, King Slice, Baba’s Doner House, Toma Burger Addiction, Kenzo, La Hacienda, Poutini’s, Ravi Soups and many more amazing spots in WQW. Nuna Cafe, Jimmy’s Coffee, Antikka – Cafe & Records, Soufi’s, BUNA, Tokyo Smoke, El Almacen, Sam James Coffee Bar, Cafe Neon, Dufflet, Major Treat, Mabel’s and White Squirrel. Win a Father’s Day WQW E-Gift Card! 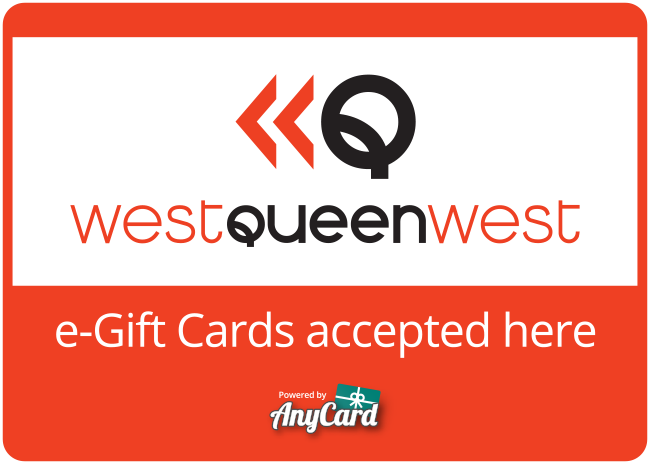 Just sign up here for the West Queen West newsletter and you’ll be placed into a draw to win a $500 WQW Neighbourhood E-Gift card accepted at more than 80 WQW restaurants, shops and services. (Here’s a list) Draw will take place on Friday, June 15th at 11 AM on Facebook Live.